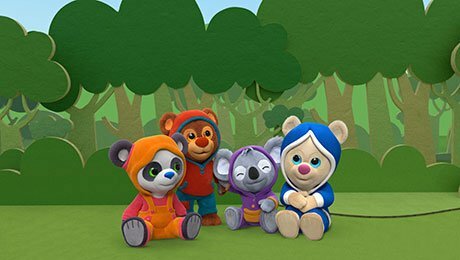 TVOkids and TFO in Canada have commissioned a preschool CGI animation series from New Zealand-based Pukeko Pictures, Canada’s Breakthrough Entertainment and Hengxin Shambala Kids in China. Book Hungry Bears is being coproduced by the three production entities for the Canadian kids’ channels. The 52×11’ series focuses on four bear friends who love picture books and go on adventures through the stories told in them. Every adventure finishes with the bears successfully finding a book to share. The bears’ adventures take place in a crafted world of paper and cardboard that every family can recreate on their kitchen table. Book Hungry Bears has been created by Pukeko Pictures’ co-owner and chief creative officer Martin Baynton, an internationally renowned writer and illustrator of more than 30 children’s books including Jane and the Dragon and the Fifty the Tractor series. Book Hungry Bears is produced with the financial participation of Shaw Rocket Fund and Canada Media Fund and made in association with Knowledge Kids.